Located along the Red River of the North in southeast North Dakota, West Fargo is home to our North American headquarters. This 75,000 square-foot corporate office is situated on six acres of land. The West Fargo office houses administrative, finance, IT, product management, sales and marketing functions for North America. The company also occupies other office buildings in Fargo, including the North Dakota State University Technology Park. West Fargo, North Dakota, is part of the Fargo-Moorhead metro area, located in southeast North Dakota and bordering Minnesota. The Gwinner factory complex, established in 1947, manufactures Bobcat loaders, utility work machines and attachments. The total operation covers 750,000 square feet, including the main plant, product engineering and marketing services. Gwinner, North Dakota, is on State Highway 13 in southeastern North Dakota, 85 miles southwest of Fargo and 50 miles west of Wahpeton. 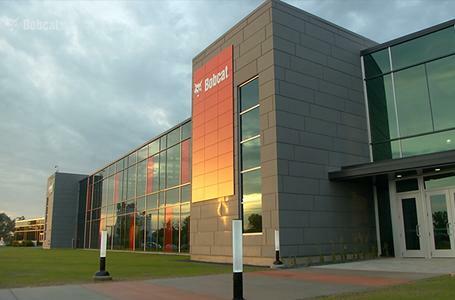 The Acceleration Center, opened in 2014, was established to foster innovative product development, product design, prototype engineering, prototype manufacturing, computer simulation, and testing of ideas and concepts. 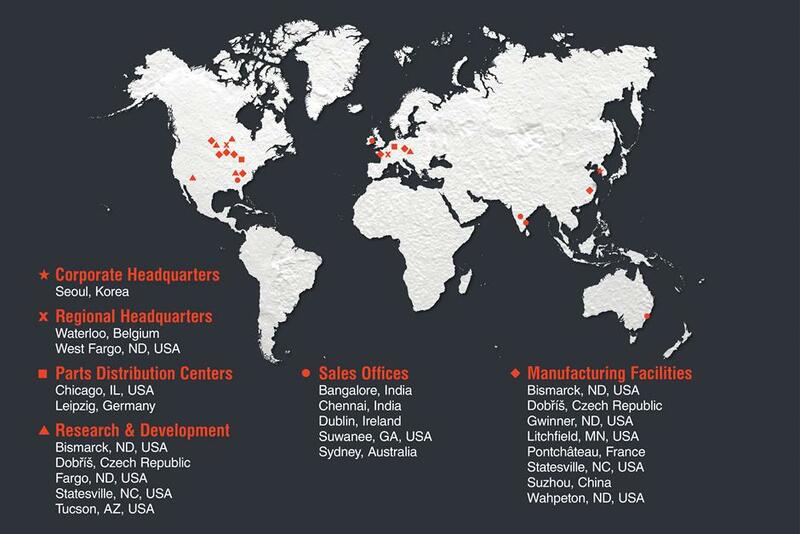 The center is a key engineering facility for all Bobcat compact equipment distributed globally. 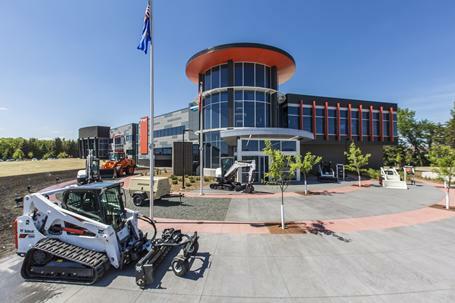 The Bismarck Manufacturing Facility is the primary plant for Bobcat attachments and excavators and also houses operations for Logistics, Information Technology and Production Control. Bismarck, North Dakota, is the state capital city, located at the intersection of the Missouri River and Interstate Highway I-94. The Wahpeton facility manufactures hydraulic cylinders and valves used in Bobcat loaders, excavators and attachments. Wahpeton, North Dakota, is located 55 miles south of the corporate headquarters in West Fargo and about 50 miles east of the Gwinner facility on North Dakota Highway 13. The Litchfield facility manufactures attachments for Doosan heavy wheel loaders and excavators for the North American market. Litchfield, Minnesota, is 190 miles southeast of the offices in West Fargo, North Dakota, and about 70 miles west of Minneapolis on U.S. Highway 12.